Wigan: The Football Association are likely to launch an investigation into Wigan and Manchester City after Sergio Aguero was forced to defend himself at the end of a turbulent fifth round FA Cup tie at the DW Stadium. Will Grigg's late winning goal saw League One Wigan defeat Pep Guardiola's Premier League leaders in an ill-tempered game that boiled over on the final whistle. 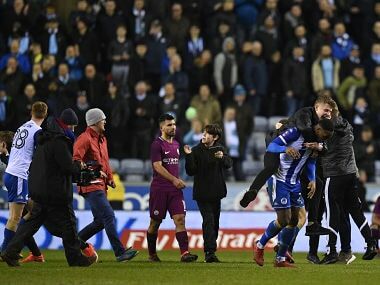 Wigan supporters invaded the pitch to celebrate at the end of the tie and Aguero, who was shaking the hand of opposing defender Chey Dunkley at the time, became embroiled in an ugly altercation with a number of fans. Aguero was forced to defend himself as the scene threatened to turn even more violent and City staff had to help shepherd him off the field and to the safety of the dressing room. "It's not right," said Wigan manager Paul Cook. "I haven't seen the incident so I can't comment. But players' safety has to be paramount for everyone." City are expected to contact Wigan themselves to demand answers about the lack of protection offered their players at the end, although the FA action may well take that out of their hands. The trouble was not over there as a number of home fans taunted the City support and, in response, the visitors began to tear at advertising hoardings in front of them. Police became involved in scuffles with City supporters that continued for several minutes and the FA are certain to review footage, and read referee Anthony Taylor's report, before contacting the two clubs and deciding whether to issue charges. The problems were not restricted to off the field matters with City being reduced to 10 men late in the first half following a foul by Fabian Delph on Max Power which saw Taylor first produce a yellow card before changing it to red. That will rule Delph out of the League Cup final with Arsenal on Sunday and City's anger at Taylor's decision was evident in its wake, with Aguero arguing with the Wigan bench and Guardiola and opposite number Cook being separated by staff as they engaged in a furious argument in the tunnel at half-time. "It's a red card," said Guardiola, who has been vocal this season after his own players have been the victim of bad fouls that did not produce red cards. "You want to ask me about football, ask me. Nothing happened in the tunnel. "He should stay in the position, that's all. They were a really aggressive opponent." 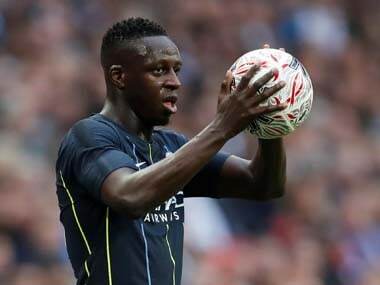 The loss of Delph, who is playing at left-back in the absence of long-term injury victim Benjamin Mendy, could prove problematic in this crucial period of the season. But, contrary to his on-field actions, Guardiola claimed he had no problem with the decision. "It's an unnecessary action," he said. "The referee decides what he decides. I'm not here to judge so it can be a red card. We have to learn from that." The stunning upset, a repeat of the 2013 FA Cup Final result, carried Wigan through to a home FA Cup quarter-final meeting with Southampton and ends City's dream of winning all four competitions this season. "I didn't have the feeling that we didn't try," said Guardiola. "That would be a worry. 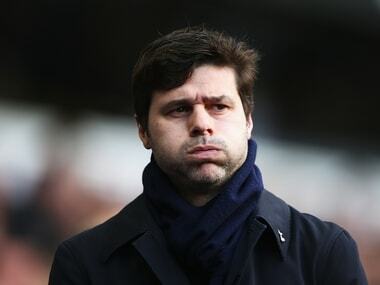 "We're sad because the FA Cup is a nice competition but football counts what happens in 94 minutes. They deserved to go through." 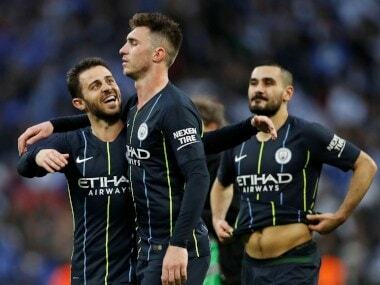 The victory, however, was undoubtedly marred by the scenes at the end and the sight of Aguero having to defend himself as he left the field. Wigan chairman David Sharpe joined the criticism of the pitch invasion by his club's supporters. "It is not nice to see, football is emotional — that's what it is to fans," he said. "But I don't like to see this at the end of the game. "It is a massive result, but we have to stay classy in football, I don't like what I am seeing here."